As you can tell from all the articles on this topic, the Wine and Spirits Trade Fair in Hong Kong was a great opportunity for spotting new ideas and promotional gifts. 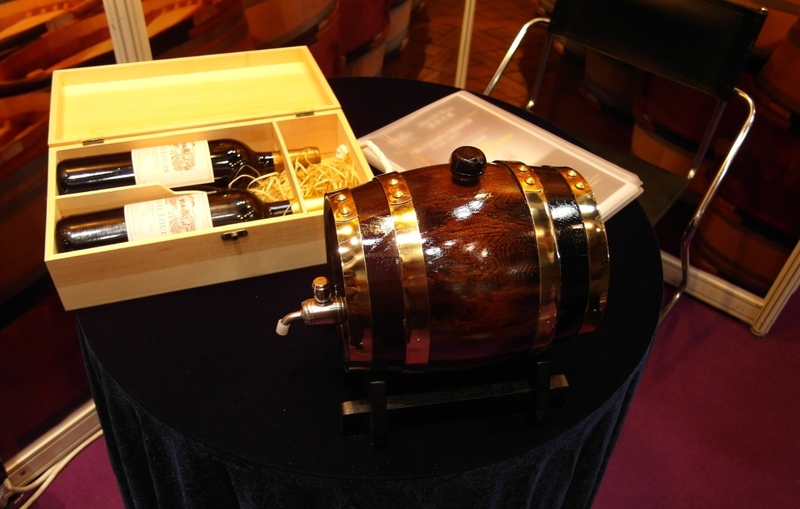 Here is one we found at a posh wine stand : a mini wine barrel. The barrel was made out of wood. It could be filled with wine that you could then serve thanks to the attached tap.